Eagle is half way between Denver and Grand Junction at I-70 Exit 147. From Denver, plan 2 hours, 10 minutes. From Grand Junction, plan 2 hours. From Steamboat via CO 131 south, plan 1hour, 50 minutes. From Leadville via US 24 west, plan 1 hour, 15 minutes. 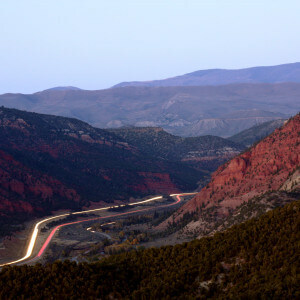 Driving Directions from Eagle County Regional Airport to Eagle: Exit the airport taking a Left on Cooley Mesa Road. Turn right onto Highway 6, eastbound, and follow it about 5 miles straight through one roundabout. It’s that easy. Welcome to Eagle! Driving directions from Denver International Airport to Vail: Exit airport on Pena Blvd. Merge onto I-70 west via the exit on the left, 10 miles. Continue on I-70 until you reach Exit 147. 139 miles. 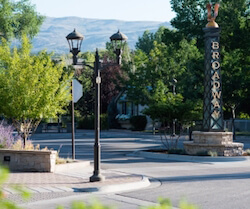 Driving directions from Grand Junction Regional Airport to Eagle: Exit airport on Horizon Dr. Merge onto I-70 east via the exit on the left. Continue on I-70 until you reach Exit 147. 118 miles. Colorado Mountain Express (CME) provides transportation from the Denver International Airport and Eagle County Airport. CME is a professional and reliable shuttle service and a great option for those who do not need a car while visiting Colorado. For shuttle reservations and information, contact 800.525.6363 or visit www.ridecme.com. Good luck with that! See Eagle River Rafting page for details.